This may mean that the sensor is not attached correctly. Make sure that the sensor is plugged in correctly, and try again. 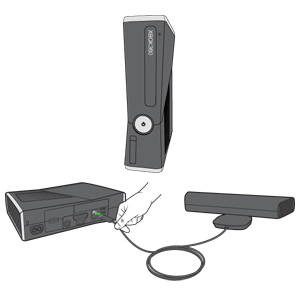 Unplug the Kinect sensor from the console, and then plug the sensor cable into the AUX port on the back of the console. Would you like to contact Support regarding the "Error 8AC80008 occurs when using the microphone in your Xbox 360 Kinect Sensor" issue you were reading about or a different issue?